Smartphone have become an important part of our day-to-day lives. Whether it’s for work, socialising or entertainment, we now look to our devices to bring a world of information and interactions to our fingertips. But while apps and features are making tasks simpler than ever before, there is a whole host of gadgets out there to help you get even more out of your smartphone. Here are just some that will give your iPhone added potential. We all love catching up with the latest TV show on a long commute, but the 3G connection can drain the battery and rack up a small fortune. This nifty little device has the perfect solution. 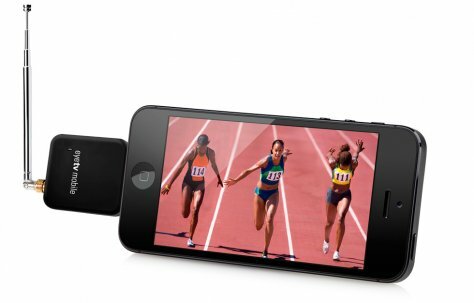 Simply plug the Elgato Eye TV into the lightning port of your iPhone 5, 5C, 5S or fifth generation iPod Touch and enjoy access to Freeview channels. The companion app also allows you to play, pause and record content, all without the need for an internet connection. Smart homes are the future and your iPhone can help you get one step closer to remotely controlling every aspect of your house. The Belkin WeMo Switch is a mains adapter that lets you switch your plugs on and off with a tap of the screen. Add as many switches as you want, schedule them to turn on or off automatically and never worry about wasting energy again. Smartphones are the go-to gadget for taking photos while out and about, but the shutter-bugs among us will tell you that the quality and capabilites can fall short of dedicated cameras. Enter the Olloclip. This handy piece of kit gives the user a fisheye, macro and wide-angle lens all in one affordable gadget. It’s also compatible with social media and photography apps. Just clip it over the camera in the corner of your iPhone and get snapping. The App Store offers players a vast library of game titles, along with access to a selection of online sites from across the world, from American MMOs to Australian casino games. The Stratus Wireless Controller manages to shake up the platform though, bringing a console-style experience to the iPhone with a familiar design and up to 10 hours battery life. It’s the first wireless controller to work with iOS 7 devices, and is a sign of the future of mobile gaming. Portable technology has huge benefits for health and fitness. We can now track, record and organise our diets and exercise with ease. 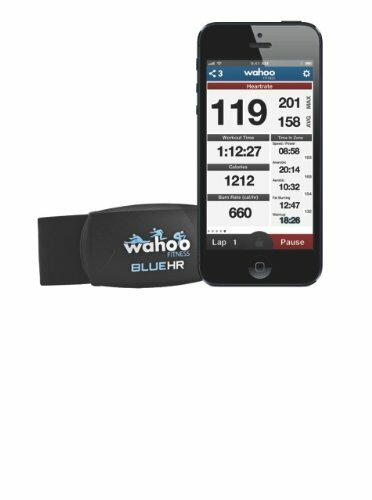 The Wahoo Blue HR will help you work up a sweat, delivering valuable real time data to almost any fitness app. The belt features a Bluetooth heart rate monitor and is waterproof up to 5 feet, making it ideal for even the most intense bike rides, and runs.